Organic products are made from organic ingredients and without any hazardous chemicals that may be dangerous to human health. Organic cosmetic is the one that is made from organic materials using the simple and ecological manufacturing processes and using only clean agricultural water. The organic cosmetic is very popular lately, as the organic movement becomes more powerful. This movement involves organizations and individuals engaged in promotion of organic farming. The term “organic” usually refers to the food and natural products grown without the assistance of man-made chemicals. The organic trend is becoming more and more powerful and the purchasing of organic goods has risen every year since 1990. Organic skin care products and organic make-up are increasing in popularity. These products are considered natural and safe combined from pure natural ingredients and free from any kind of synthetic. Synthetic cosmetics often contain dangerous and harmful chemicals derived from different sources. Organic cosmetic is made from fruits, seeds, plants, oils, natural minerals and other compounds found in nature. Some of the most common ingredients used for this type of cosmetic are well known for their health beneficial effects: honey, avocado, olive oil… Moreover, natural ingredients used for organic cosmetics are free from pesticides, insecticides, and other dangerous compounds. It is not always easy to find a hundred percent pure organic cosmetics. Not only that it is not as widespread as the regular one, but many unclear regulations are allowing for cosmetic to have only 70-75% of organic ingredients. This means that a certain product can be labeled as organic and still contain some very hazardous and potentially dangerous chemicals. Moreover, the U.S. Food and Drug Administration (FDA) don’t have a definition for a term “organic”. FDA regulates all kinds of cosmetic under the authority of Federal Food, Drug, and Cosmetic Act where the term “organic” isn’t defined at all. Another important act - the Fair Packaging and Labeling Act, also doesn’t recognize organic cosmetics. The Agricultural Marketing Service of the U.S. Department of Agriculture regulates the labeling standards based on the percentage of organic ingredients in a product. According to their act a label “100 percent organic” requires that a product must contain (excluding water and salt) only organically produced ingredients. 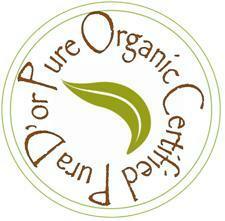 The label “organic” refers to a product that has at least 95% organically produced ingredients. “Made with organic ingredients” is allowed for the products that contain at least 70% of organic ingredients. If a product contains less than 70% of organic ingredients, it cannot use the term “organic”. Are there any harmful ingredients of Orovo detox weight loss pill?